We are currently looking for new members to join the Alto section of the choir. Anyone interested please contact us following the link. Following the success of The Heritage Singers recent tour to Germany we are now planning a trip to Glasgow for 2016. 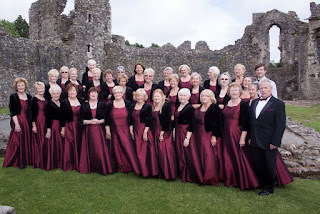 Welcome to the Heritage Singers new Blog Style Web Site. This new site allows us to update the site , share our experiences and news a lot quicker than we have done previously. We hope you enjoy the new site.